Hotel Hot Springs Arkansas | Hot Springs Hotel near Lake Ouachita. Welcome to a hotel Hot Springs, Arkansas travelers are sure to like, the Quality Inn and Suites. We’re nestled in the Ouachita Mountains off Highway 70 and just 5 minutes from Memorial Field Airport. We’re also 5 minutes from Hot Springs Country Club and about 10 minutes from the downtown historic district. Just a little farther away are Bathhouse Row and Lake Ouachita. Our Hot Springs, Arkansas hotel is also near Lake Hamilton, Hot Springs National Park, Hot Springs Convention Center, Oaklawn Racing and Gaming plus Magic Springs and Crystal Falls. Whether you’re looking for a Hot Springs hotel near Lake Ouachita or a hotel near Oaklawn Park, for example, you’ll find convenient comfort. 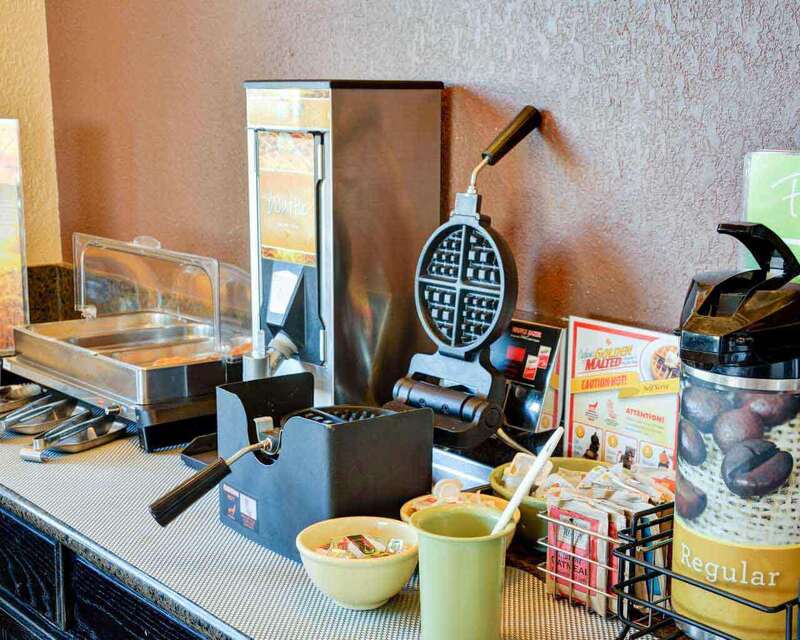 Amenities at our pet-friendly hotel include a free continental breakfast and free wifi. We also feature free coffee, guest laundry facilities, an outdoor pool, a business center and meeting rooms for up to 70 people. Suites feature microwaves, refrigerators, coffee makers and more. Why not visit beautiful Hot Springs soon – and make us your home for one night or several? We’re here for you, so why not book now? It’s a good decision that we’re sure will serve you and your traveling companions well every time you’re in Hot Springs. Yes, there’s a lot of business conducted in this part of Arkansas. When you're looking for a hotel Hot Springs, Arkansas for your business needs, you'll find a pleasant, comfortable and affordable experience this Quality Inn and Suites. We also feature free free parking, free wifi, a business center, meeting facilities and more as well. Ours is a comfortable and convenient choice of Hot Springs hotels near Memorial Field Airport and is right where you want to be to enjoy the many attractions and points of interest in the area too. As your smartest choice, our property is designed with all kinds of travelers in mind and has an array of amenities that's sure to enhance your stay. Whether you’re looking for a Hot Springs hotel near Oaklawn Park, a Hot Springs hotel near Lake Ouachita or simply a place to stay for a few hours as you're passing through the area on your family vacation, you can confidently depend on our Quality Inn and Suites. We’re right when you’re looking for a Hot Springs hotel near historic downtown as well as hotels near Hot Springs National Park and hotels near Crystal Falls Theme Park. Our Hot Springs, Arkansas hotel is close to so many of the things you'll want to see and do in this area. You can be sure we'll provide you the budget-friendly rates you expect and deserve. Looking for an affordable hotel in Hot Springs, Arkansas? Looking for a well-priced place to stay with Hot Springs Convention Center near the hotel? Seeking motels near Magic Springs or perhaps a Crystal Falls Theme Park Hot Springs hotel? With the prices of everything as they are these days, you need to save any way to can. Look no further than our clean and affordable Quality Inn. We believe that you won't find any other hotel in the surrounding area that better meets your needs while being as easy on your pocketbook. 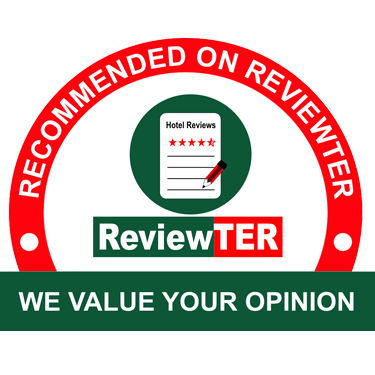 Because we're experienced and dedicated hotel owners, we believe we can do a great job for you without having to charge a lot. Whether you're staying at our top choice of hotels in Hot Springs AR to see the interesting and unique attractions our area has to offer or perhaps on business, we're pleased to be here for you. We’re a smart choice of Hot Springs hotel near Lake Hamilton and the right selection of hotels near Oaklawn Park AR. Why not book a room with us and see how you can have a comfortable stay at a price that fits within any budget and still access easily the very best of what this area has to offer? We’re the smart choice when you’re looking for affordability in Hot Springs. Hot Springs National Park includes most of the town, meaning everything in our area deserves your attention during your visit. Magic Springs and Crystal Falls provide amusement for the whole family, and staying at our Quality Inn means staying close to all the fun. Mid-America Science Museum is interactive and educational for everyone in your family, and we’re a close place to stay while visiting it. Gangster Museum of America is a unique regional attraction unlike any other you’ll find anywhere, and it’s just one of many great things to see and do in Hot Springs, Arkansas.